Dear readers and friends, as you all know, we are arrived at mid season target in italy, and in the rest of the world, for fixed gear championship, and Criterium Italia is pleased to make a little recap of the situation, waiting for the final rush to the main event of Red Hook Crit in Milan on the 6th of October. For the first time we fell the need of a little review of this extraordinary yaer for fixed gear; there has been a significant step forward in quality and quantity of events, especially from the technical point of view, the races became every time higher in terms of skills and organisation. This increase has been so quick and so big that causes, for us, the need of a reflection about the scene. Let us explain ti better: You all noticed the increase of the number of events, all around our contry, and now we have quite filled the entire calendar of the season with races almost all weeks, and this Criteriums are organized, most of the times, with a very high level(compared to previous years). these events almost reach the levels of pro cycling races, and there is no doubt that all this allows the scene to grow and improve itself; but we are also sure that it’s important to analyze all the facts about this year of races. 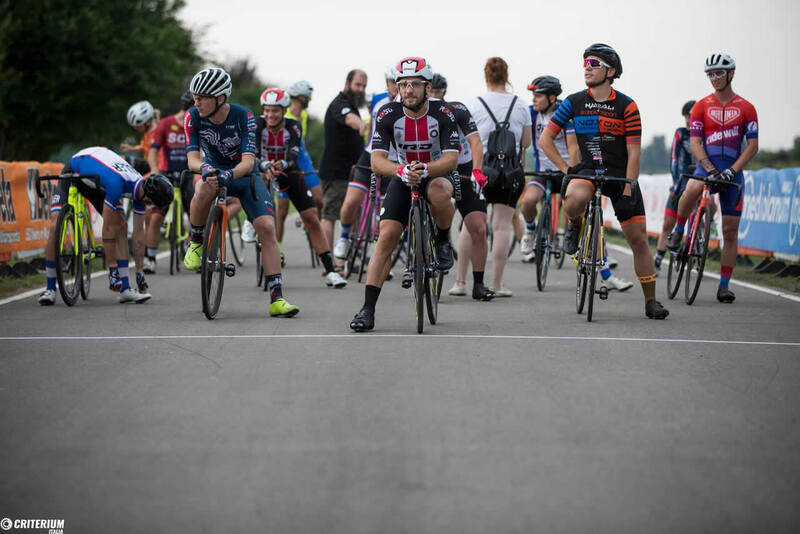 We (Criterium Italia) have been in this facts from day one and we tried to organize and coordinate the first championshio in Italy, with lucky and unlucky results, animated by the big love that we have for fixed gear and not only. But, as you well know, ” nemo propheta in patria (sua)” and we had many problems in this organization and we have been unable to solve them all the times, and maybe we did a too long step for that times, and hoped to find a better situation in many aspects (logistics, economical and coordination ) and , in the end, we were not ready for a project so ambitious. We have to be honest, now. and admit that it was too early and the aour country were (and it’s still like this) not ready to support us with institutions and even the sponsors were (and are, most of the times) not ready to invest in this kind of races and events with real budgets that wolud have permitted to us better solutions. Then, this year, we have the arrival of the Italian Federation of cyclism, that tried to regulate and gave lines for races, just to improve the show, guarantee safety of the riders, and outline an official ranking as appen for other disciplines in cyclism. This last fact may have not been weel seen by all our community… as you well know it’s our common feelings for breaking the laws, that let (most of) us falling in love with at fixed gear. We love to be considered the punk7rock side of cyclism! After these facts there was a plenty of arguments, and our personal opinion is that some rules are(maybe) necessary because of the incredible increase of the races level form technical and performance point of view, so there has to be some rules that protects our riders and the quality of the show that we offer to the audience. This year we have a big number of criteriums all around Italy, and Europe too, that are a blessing for all of us: we can go and ride so many criteriums and people can come easily to our events, just letting the scene growing up and became well known in cyclism world. We have, here, different championships as Italian Fixed Cup, Project Fixed, Criterium Italia itself and a bunch of crit that are not joined to others, so it could seem the perfect situation for us, but, if we look better, for us, there are many things that are not so good as they seems to be. First of all maybe that too many crit are not positive for the riders, that are not free, most of the times, to partecipate to some crit instead of others, for rankings problems(they are not all unified) and rules, that changes as change the organisation of the races; then the problem of sponsor and investitors that are confused in decide wich format it’s better for them, and so we risk to have nothing or too few money to guarantee the races, the safety and the show that people expectfrom us. Last but not least, we are giving a wrong message to people that want to know something about fixed gear that should be confused about how fixed gear world works, becuase if they have too many version of the same things, maybe that they decide to not follow us. Do not forget that there is something bigger than rankings and medals: we are talking about a sport that we all love, and, for us, it has to be a priority to find an unique solutions for big deals of our sport, but it’s useless to talk about it if we don’t remember how we’ve borned and grown up: we are a family from day one. We decided to be a part of cyclism different from others, the common feeling for sport and the desire of bein’ together and have fun, that allows us to be what we are now. We are not trin’ to do demagogy, we’d only like to part of a process of growth and sharing for the love of this sport, and for all of you, that are our big crazy family of fixed gear! Remember, we can do a lot of amazing things, we have skills, contacts, know how and so much more, but, our opinion, it will works just joining our forces! So see you soon, with other great news about the best you will find in cyclism world: Fixed gear!